Here are some pictures of 13th century tiles from Cleeve Abbey in England. They are a combination of geometric and pictorial designs. The latter employing heraldic and literary themes rather than scriptural. The form will be familiar to some through the Victorian neo-gothic tiles that are more common today, and which were based on designs from this period. I am admirer of the later forms as well, incidentally. 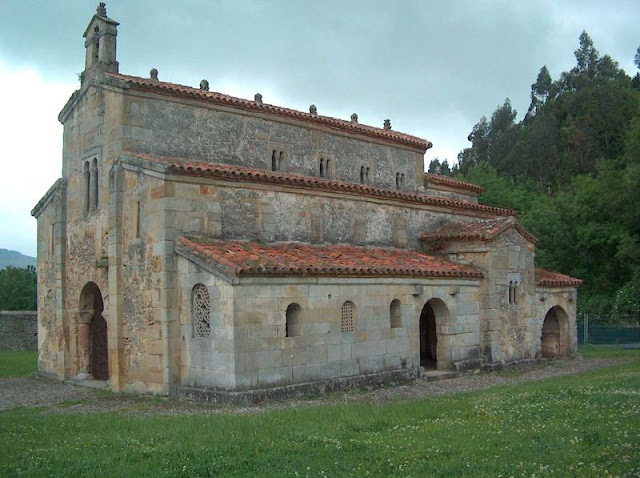 I view them as an authentic re-establishment of a past tradition and worth looking at not only for the architecture and tiles of the period, but also as case study on how to look to the past in a constructive way. Thanks to Deacon Iacono of the Fra Angelico Institute of Sacred Art who brought them to my attention by referring me to an historical account given in the L'Historien Errant blog. 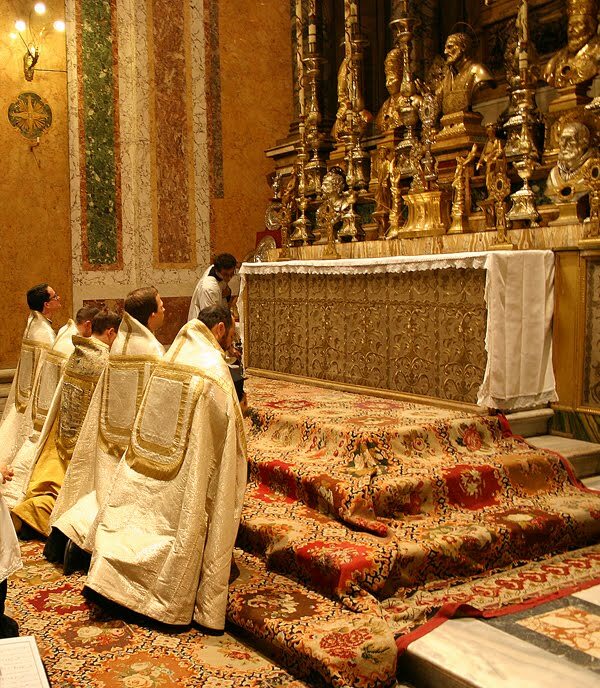 We recently made note of a Solemn Pontifical Mass that was being broadcast on EWTN. The Mass was from Trenton, New Jersey, celebrated by Bishop David O'Connell. The beauty, reverence, splendor and awe of a traditional Latin Mass was reflected in its highest form in the Diocese of Trenton Nov. 27 as Bishop David M. O’Connell, C.M., celebrated a Solemn Pontifical High Mass in St. Hedwig Church, Trenton. The Mass, which was celebrated on the feast of the Miraculous Medal and drew some 800 people from throughout the diocese and beyond, was part of the diocese’s observance of the Year of Faith. 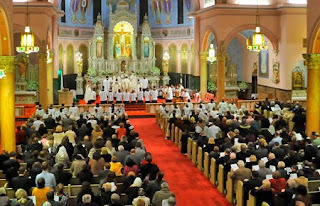 Father Brian Woodrow, diocesan liaison to the Extraordinary Form in the Roman Rite, noted that the Mass also marked two historical moments in the life of the Church of Trenton -- it had been more than a half a century, since the implementation of the Second Vatican Council, that that the Pontifical Solemn High Mass in the extraordinary form had been celebrated in the diocese. 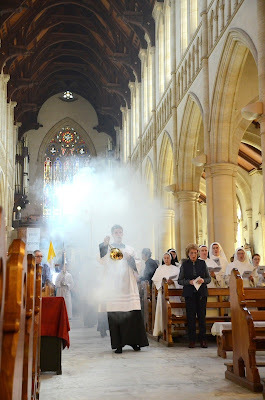 It also marked the first anniversary of the celebration of the Traditional Mass in the diocese. One year ago, Bishop O’Connell responded to Pope Benedict XVI’s 2007 call to make the extraordinary form of the Mass more available to the faithful. The bishop appointed Father Woodrow as the diocesan liaison to the Extraordinary Form of the Roman Rite, and it has been Father Woodrow’s responsibility to introduce that form of the Mass to parts of the diocese that do not already have it available. 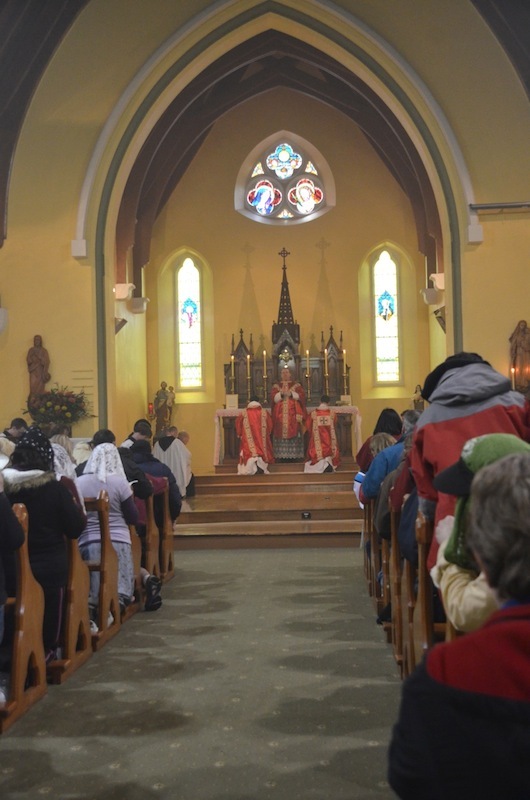 Masses in the extraordinary form in the diocese have been celebrated in St. Anthony Church (of Our Lady of Sorrows-St. Anthony Parish, Hamilton) since Nov. 27, 2011, which was the first Sunday of Advent last year. Explaining a Solemn Pontifical High Mass, Father Woodrow said that it is celebrated by a bishop or the pope and that it is the model and highest form of the Mass that can be celebrated. Amidst the grand setting of St. Hedwig Church with its high altar, the majestic sounds of the invited choral groups, including the Mass for Four Voices (William Byrd), the Westminster Kantorei, under the direction of Amanda Quist, and the Mater Ecclesiae Schola Cantorum from Mater Ecclesiae Parish, Berlin, resonated as they provided the sacred music for the Mass. 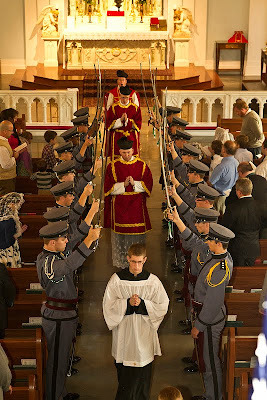 About 20 minutes prior to the start of the Mass, Bishop O’Connell, for the first time, entered the church wearing the “cappa magna,” which is a 35-foot long cape that represents the earthly glory that he has as a ruler in the Church. The bishop, who is accompanied by a server, spent several minutes in prayer before the Blessed Sacrament before proceeding back into the sacristy to vest for Mass. His vestments included the amice, alb, cincture, stole, maniple and chasuble. The red zucchetto (skull cap), pectoral cross and the miter represent his authority as the bishop, and the ring symbolizes that he is wedded to the diocese. Underneath his chasuble, the bishop also has on the vestments of the subdeacon (the tunicle) and deacon (dalmatic) to show that he has the full authority of Holy Orders. 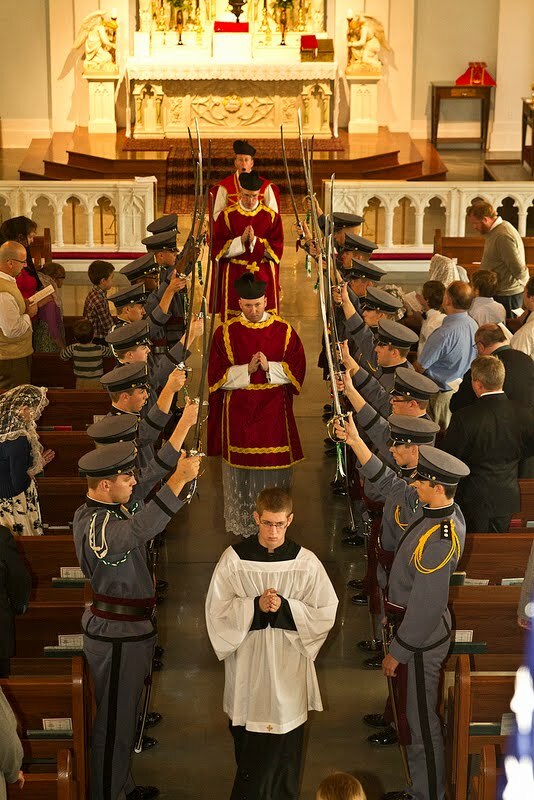 He also wears liturgical gloves that show his purity from sin and the performance of good works. Once vested for the Mass, the bishop entered the church again where he joined in the grand procession and began the celebration of Mass. 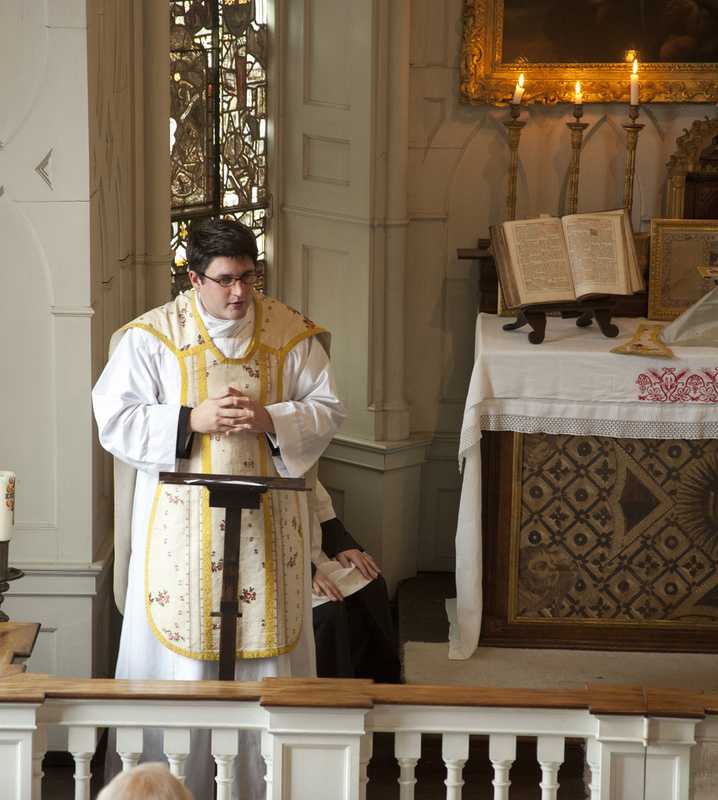 Assisting Bishop O’Connell in the sanctuary were priests from the Diocese of Trenton, as well as visiting priests from other New Jersey dioceses. 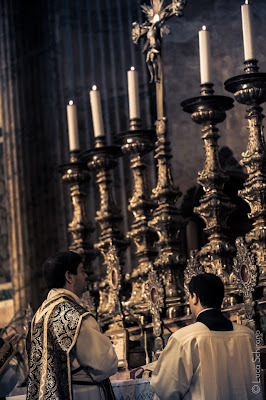 The priests served in various liturgical roles such as deacon, subdeacon, assistant deacon of the throne , assistant priest, master of ceremonies of the throne, master of ceremonies of the altar, subdeacon of the cross and sacristans. 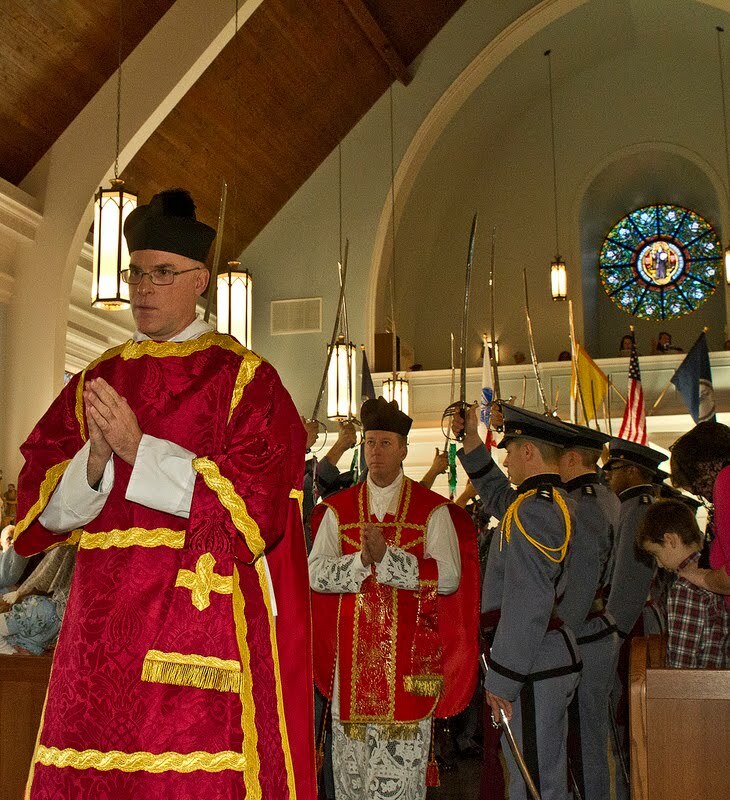 The many altar boys present hailed predominantly from parishes throughout Mercer County, while the girls who participated in the entrance procession were members of the Maidens of the Miraculous Medal. 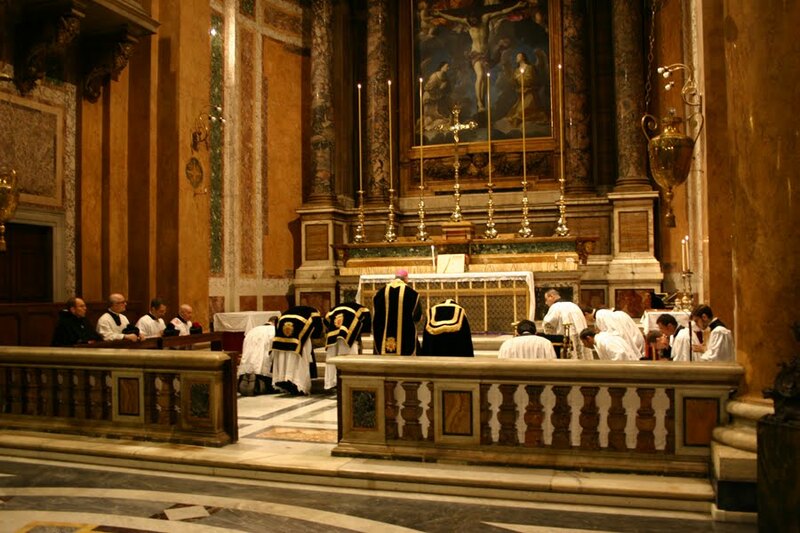 The Traditional Latin Mass is celebrated in Latin with the priest facing toward “liturgical east.” This is typically where the high altar, tabernacle and crucifix are situated. Being that it’s a solemn, serious and reverent service, the Traditional Latin Mass is punctuated by moments of silence in which the congregation quietly follows along in private prayer. Sometimes the celebrant at the altar doesn’t address the assembly, but whispers prayers, inaudible to the people in the pews, to add to the sense of reverence. You can read the rest of the article over there. 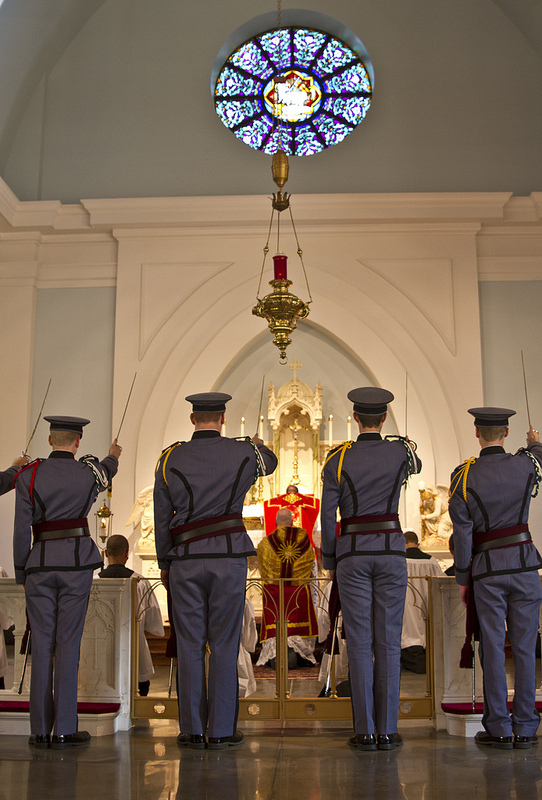 Here, as well, is a photo gallery from the Mass. The creator of the following recently notified NLM about it, and while I have not had a chance to watch this video all the way through, from the parts I did see, it looks rather interesting. 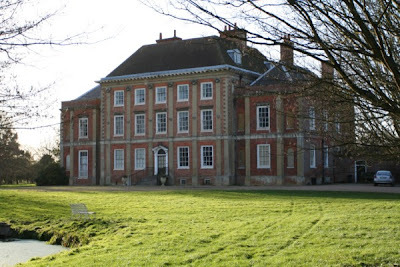 Groups from the Personal Ordinariate of Our Lady of Walsingham are preparing to celebrate the season of Advent with a traditional service - the Advent Procession - now available for use in the Catholic Church through the publication of the Customary of Our Lady of Walsingham. Immediately before Christmas - and during the Octave - groups will make use of the famous Nine Lessons and Carols, which is heard across the world, broadcast by the BBC from King’s College, Cambridge, on Christmas Eve. The service was constructed by the once Dean of King’s, the Reverend Eric Milner-White, and is instantly recognisable as one of the most beautiful parts of the Anglican tradition - making use of choral music, hymnody, and readings, which trace the prophecies and events of the Nativity of the Lord. 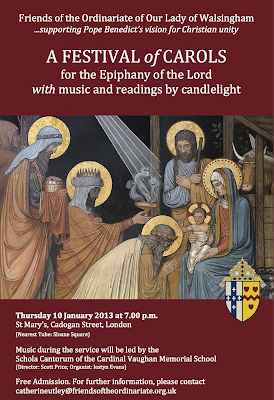 To coincide with the second anniversary of the erection of the Personal Ordinariate of Our Lady of Walsingham, a festive service of carols and readings for the Epiphany, will be held on Thursday 10 January 2013 in St Mary’s, Cadogan Street, London. This will be a candlelit service, led by the Ordinary and in the presence of a large number of clergy of the Personal Ordinariate. 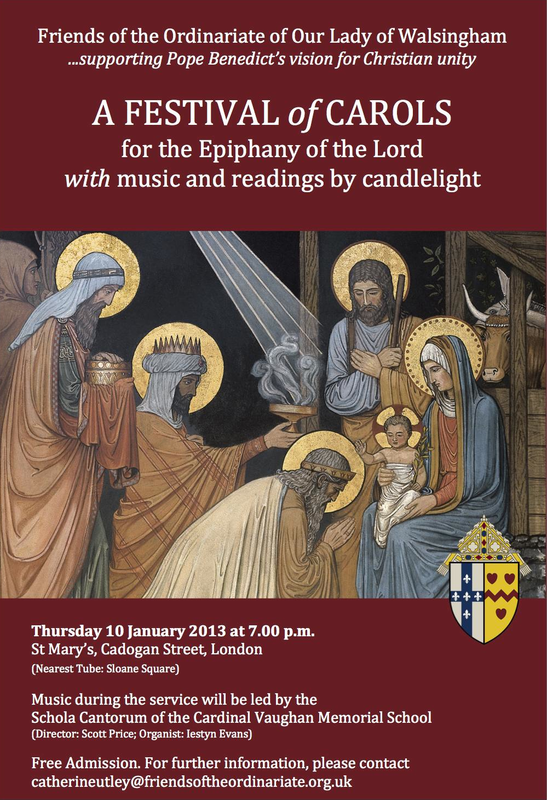 The music will be provided by the well-known Schola Cantorum of the Cardinal Vaughan Memorial School, and readings from scripture and the Anglican tradition (now published in the Customary of Our Lady of Walsingham) will feature. Amongst those reading at the service will be the Duke of Norfolk and Catholic authors Piers Paul Read and Peter Stanford. The service will conclude with Pontifical Solemn Benediction of the Blessed Sacrament. 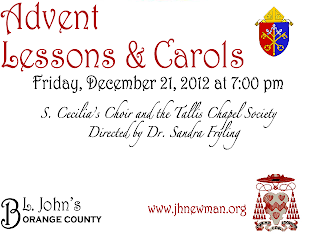 with music provided by the Schola Cantorum of the Cardinal Vaughan Memorial School and readings given by the Duke of Norfolk, Piers Paul Read, and others. 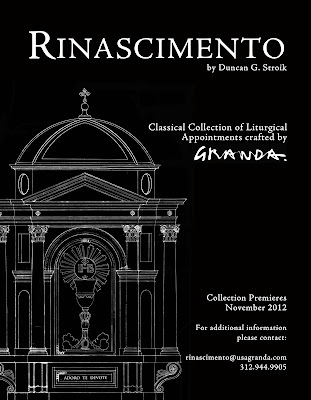 The following interview with the CEO of Granda Liturgical Arts presents the story of an interesting collaboration that is presently taking place with American architect, Duncan Stroik. The result of this collaboration is a new line of sanctuary appointments in a classical idiom. 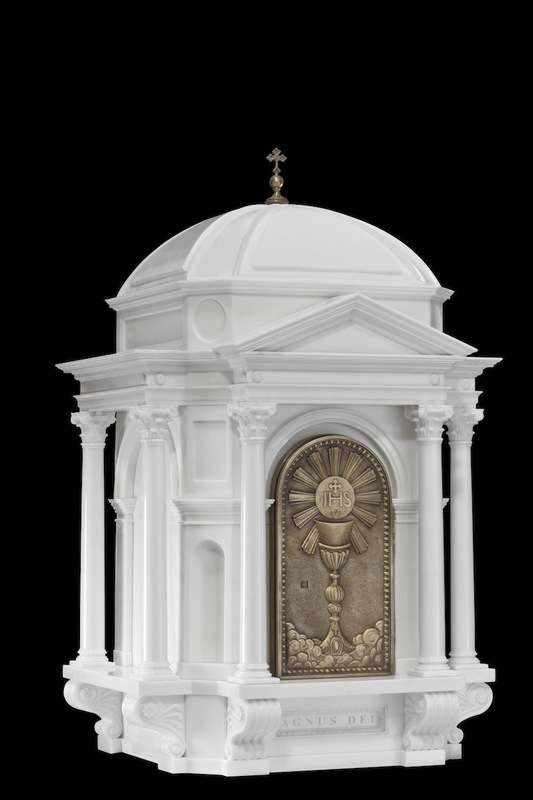 Here is an interview with Granda's CEO, as well as an image of their very first executed design -- a tabernacle. 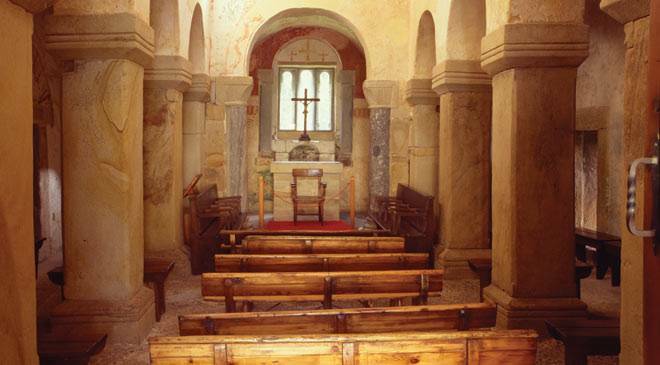 We have shown many photos in the past of monastic churches with rows of monastic priests celebrating their private Low Masses, and now here is some video of the same, coming from the Abbey of Le Barroux. Some of you may recall a story we published on November 12th, about a priest, Fr. Peter Carota, who has chosen to take a sabbatical to promote the usus antiquior. Since publishing that story, Fr. Carota has contacted us and I consequently invited him to address all of you, the NLM readership, about his project. 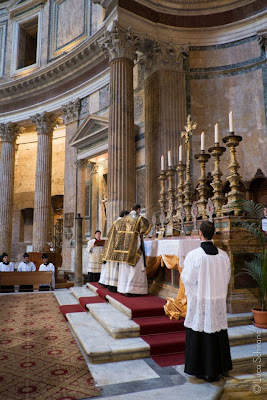 On Tuesday, November 13, this website posted an article about a new stage in my priestly mission: to discern God’s will in promoting the Latin Mass. Would you help me in my discernment and mission? First, I ask for your prayers. Work of this magnitude can only happen with God’s grace. Second, do you know of any priests with similar aspirations to promote the Latin Mass and are open to forming a missionary order of priests for that purpose? 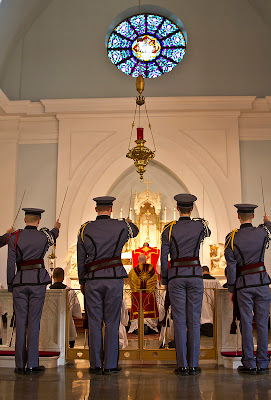 While acknowledging the many priests and a number of priestly societies dedicated to the extraordinary form of the Mass, I envision a distinct MISSIONARY CHARISM that helps the faithful understand, experience, and participate in the sacredness and spiritual richness of the Roman Rite’s liturgical heritage. Third, do you know of any supportive bishops who could a place and spiritual guidance for this new endeavor? The spiritual treasures of the Latin Mass has formed many countless in the Church’s history. It would be a great service to the Church for Catholics today and future generations drink from this spiritual fount. Thank you for your consideration and prayers. May God bless you all. 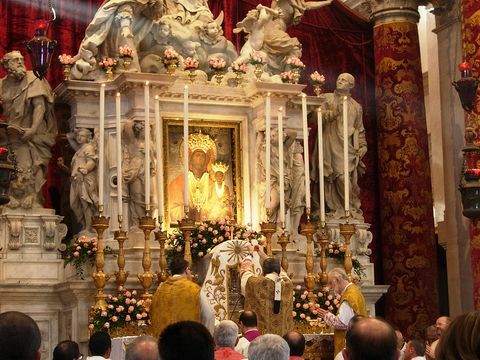 By way of Accion Liturgica we learn that the Patriarch of Venice, Mgr. Francesco Moraglia, recently celebrated Mass in the Ordinary Form at the Basilica di Santa Maria della Salute on November 21st, the feast of Madonna della Salute, at the famous high altar of the same. 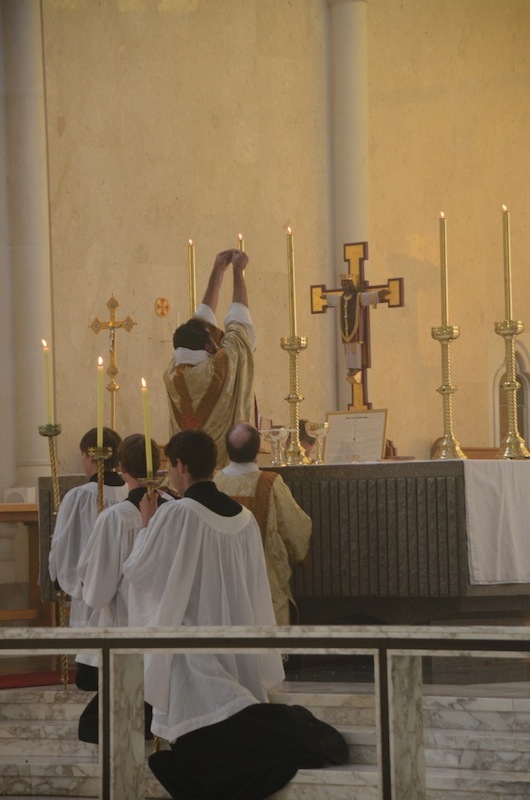 That means that the Mass was also celebrated ad orientem -- which is always a welcome development. 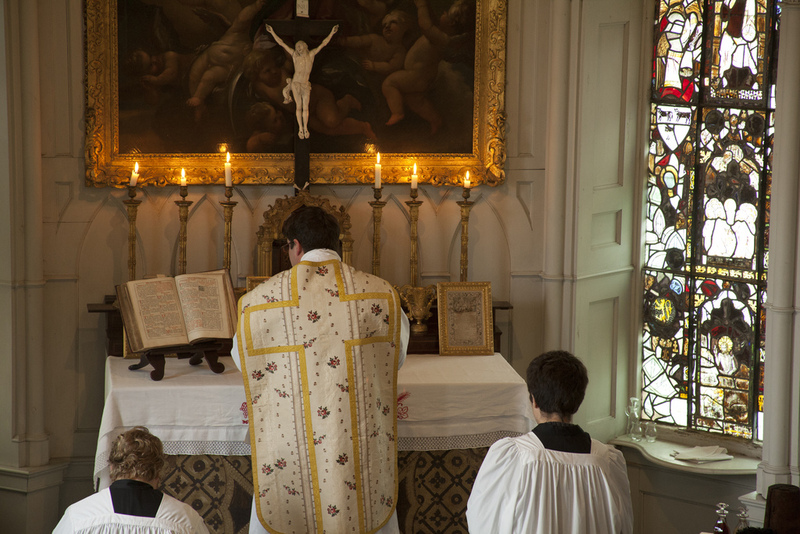 Of the elements of the Anglican Patrimony the Ordinariate brings with it, one of the most enjoyable is the seasonal pleasure of a Lessons and Carols service. The first of these was held in a temporary shed serving as Truro's Anglican cathedral on Christmas Eve, 1880, by future archbishop of Canterbury Edward White Benson--purportedly to give his flock something better to do than spend the night before Christmas in local bars and pubs. It has since been a tradition adopted by Catholic as well as Anglican parishes, as well as Lutheran and even Presbyterian communities. King's College, Cambridge, has been conducting the service the longest, from 1918. 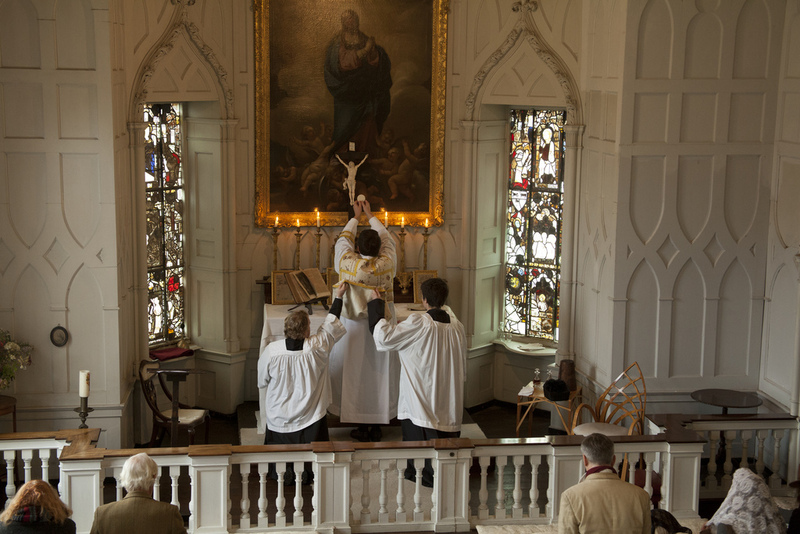 The form is not fixed, and probably more strictly para-liturgical than liturgical, but usually consists of nine readings from Scripture (though I have also seen it with seven) interspersed with hymns and anthems. Its adoption by Catholics is not in the least inappropriate as some have traced its basic structure back to Christmas Matins and also the 9 lessons read at mass during Advent Ember Saturday. 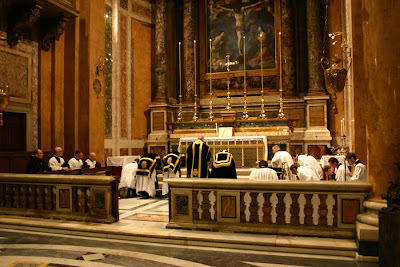 Even if these origins can be disputed, the long and varied history of various para-liturgical services, such as the concert-like "spiritual recreations" of Venetian confraternities, the Renaissance Spanish Salve service and Sacrosanctum Concilium's encouragement of "Bible services" on "the vigils of the more solemn feasts, on some weekdays in Advent and Lent" (this coming, ironically, only shortly after the abolition of the Vigil of Pentecost), show there is no shortage of equivalents on our end. 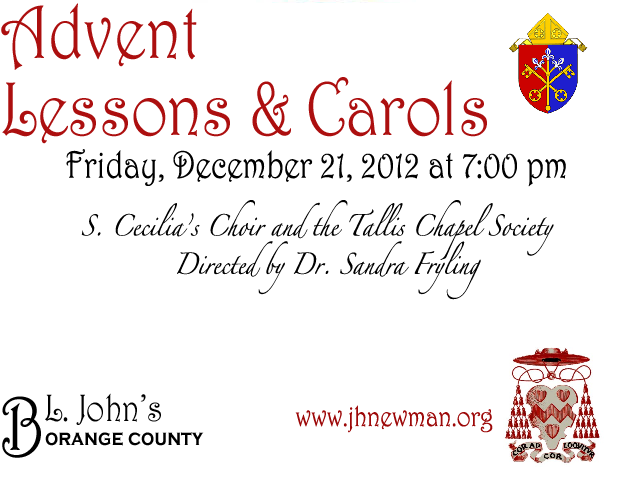 This is all a roundabout way of saying that Blessed John Henry Newman Parish in Orange County will be having its Lessons and Carols at 7 PM on December 21. 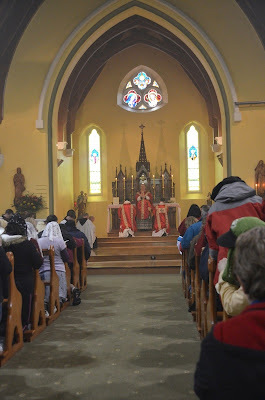 There will also be many other Ordinariate parishes engaging in this tradition this year, such as St. Athanasius (Boston), on 2 December at 5 PM; Our Lady of Walsingham (Houston) on the same day, at 4 PM; St. John's (Calgary), at 7 PM on December 23, and St. Athanasius again on December 30 at 5 PM. Info on these and other similar events can be found on the sidebar at this site. 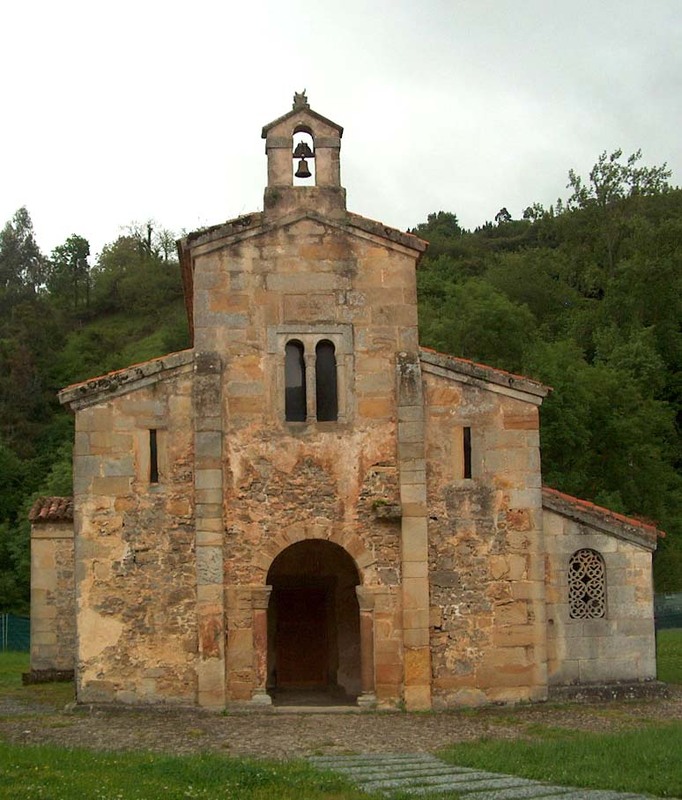 A Benedictine abbot has been chosen to lead the new office of the Congregation for Divine Worship called and give out guidelines for liturgical music and architecture, in an attempt to do away with ugly garage churches. Today, Benedict XVI appointed the American Olivetan abbot, Michael John Zielinski, as the new office manager in the dicastery led by Cardinal Antonio Cañizares Llovera. His entry to the Congregation is strictly linked to the restructuring of the dicastery approved by the Secretariat of State last 3 September. Zielinski was born in Lakewood, Ohio, in April 1953. He joined the Benedictine monastic Congregation of Saint Mary of Monte Oliveto after his novitiate at the abbey of San Miniato al Monte in Florence and made the perpetual monastic profession on 8 December 1975 in the Abbey of Monte Oliveto Maggiore (Siena). He studied philosophy and theology at the Pontifical University of St. Anselmo in Rome and was ordained priest in 1977. He studied monastic spirituality, Gregorian polyphonic and modern music, medieval and renaissance history and history of art. In 1991 he graduated from the University of Florence with a thesis on social psychology. He spent a number of years in the abbey of San Miniato al Monte in Florence where he was elected Prior and was also given the task of teaching novices. He was also an associate professor at the University of Siena. 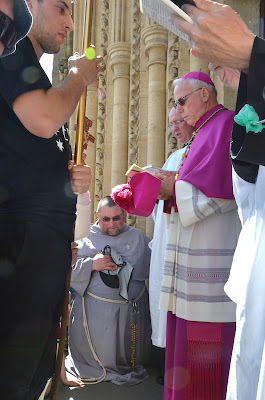 In 1999 he joined the monastic community of the Abbey of Santa Maria Pilastrello in Lendinara, in the diocese of Rovigo, northern Italy and in 2003 he was nominated secretary of the Abbot Primate of the Benedictine Confederation, Fr. Notker Wolf. In December 2003 he was elected Abbot of the Abbey of Our Lady of Guadalupe in Pecos (United States). In 2007, Benedict XVI appointed him Vice President of the Pontifical Commission for the Cultural Heritage of the Church and Vice President of the Pontifical Commission for Sacred Architecture. When these two bodies of the Pontifical Commission for Sacred Archaeology – led by Cardinal Gianfranco Ravasi - merged, he left his position in June. The office he has been chosen to lead constitutes the main change to the structure of the dicastsery for divine worship which will deal specifically with art and music for the liturgy, giving guidelines to ensure the hymns sung at mass, as well as the structure of the new churches are adequate and correspond to the mystery which they are celebrating, according to the conciliar Constitution “Sacrosanctum Concilium”. In addition, a traditional hymn on this day, accessible for every congregation, is Christus Vincit. In our parish, we are using this as the recessional. As today is, for a goodly portion of our readership, a family holiday -- and thus is more likely to find them around the dinner table or the coffee table than the computer screen -- I am going to myself take advantage of this and enjoy a slight sabbatical for the remainder of the day today. 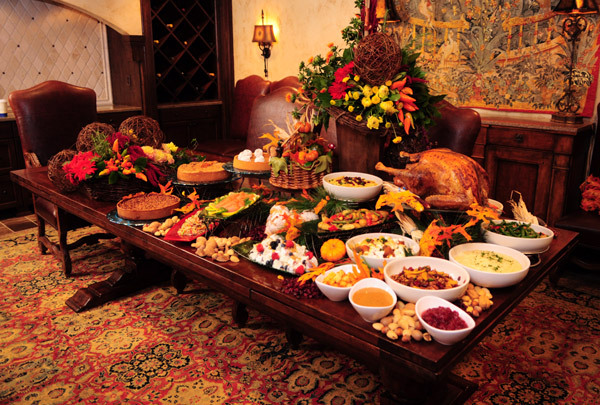 See you tomorrow -- and for those of you having it, enjoy your turkey, stuffing and pumpkin pie! Stratford Caldecott very kindly sent us in the following essay which considers the Book of Revelation in the light of mystagogy and the sacred liturgy. Up until a few years ago, any peep of concern about the 1970 Missal of Paul VI was adduced as evidence of schism and obscurantism. 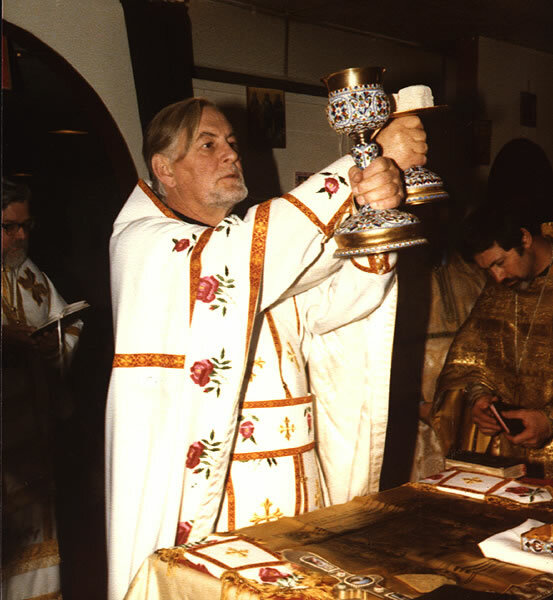 Klaus Gamber’s The Reform of the Liturgy, first published in 1981 in Germany and in English translation in 1993, changed all that. Likewise, in traditionalist circles, peeps of concern about the 1962 Missal of John XXIII were squelched. Today, however, searching questions about the Pauline Reform are being asked out loud from the halls of the Vatican to blogs with a readership of 2, and questions about the liturgical reforms of both John XXIII and Pius XII are beginning to be taken seriously. Now, there are still some quarters where the very mention of such criticism is laughed at. Those who suggest a closer analysis of the pre-Vatican II liturgical reform are often accused of wanting to found a Society of Pope Pius II.5, since X and V already exist, and they are rejected as hopelessly wedded to “older is better” in the face of scholarship and common sense. Yet, there are thinkers in the Church who are earnestly trying to understand where a hermeneutic of rupture has been applied to various aspects of the Church’s life, and just how continuity is or is not reform. The only approved form of the Extraordinary Form of the Roman Rite is the 1962 Missal and its associated books. 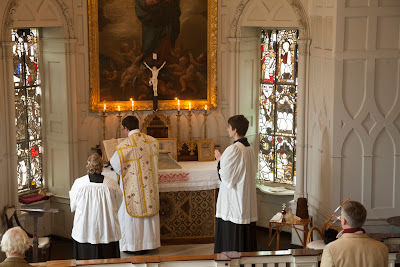 But the provision in Universae ecclesiae 52 allowing religious orders to use their proper rites may give hope to some that a further liberalization to employ previous editions of the Roman Missal, such as those pre-dating the 1955 Pian Reform of Holy Week, is possible. Read the rest of the piece at Chant Cafe. 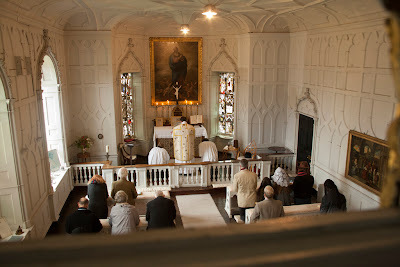 The blog of the Latin Mass Society shares some photos of an interesting Mass which took place in the private chapel of Milton Manor House, the manor of a recusant Catholic family. The Mass was offered in the usus antiquior by Fr. Daniel Lloyd of the Ordinariate. 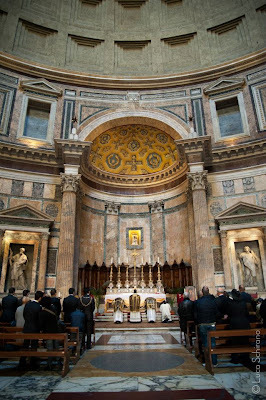 It is a little past the time now, but I thought a number of readers would be interested to know that photos of the Solemn Pontifical Mass which was offered at Ss. Trinita in Rome on All Souls Day are now online here. You can also see photos from Second Vespers of All Saints and First Vespers of All Souls here. Finally, the Mass of All Saints Day is here. "The enthusiastic reception of our CDs shows the timeless fascination of Gregorian chant, which has been moving souls for over 1000 years. The calm melodies allow both singers and listeners to plunge into the sphere of the mystery of God. The texts are taken mostly from the Bible. We sing the Word that God has spoken to us back to Him. Chant is not simply song; it is divine worship. Therefore in the Cistercian Abbey of Heiligenkreuz we sing Gregorian chant only during the Liturgy, especially during the Holy Sacrifice of the Mass. 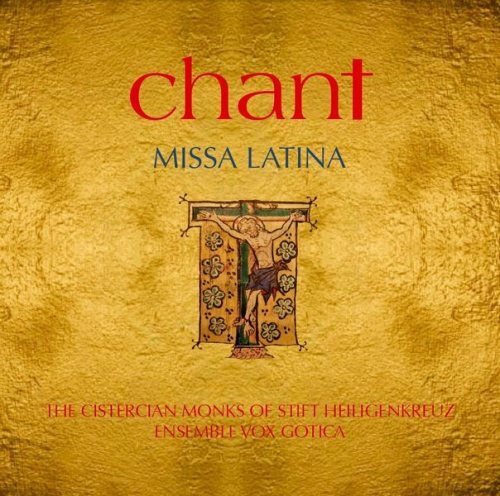 "'Chant – Missa Latina' is meant not only as an “advertisement” for the beauty of God – we are certain that all who hear this chant, whatever their faith, will be moved by the Eternal Splendor – but this CD is also meant as an “advertisement” for the Holy Sacrifice of the Mass, which, as the Second Vatican Council (1962-1965) taught, is “source and summit of the Christian life” (Lumen Gentium 11). "Particularly we want to promote the celebration of the Holy Sacrifice of the Mass in Latin. 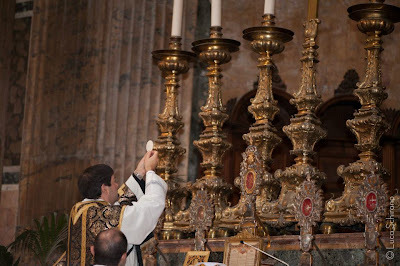 The Mass can and should be celebrated in Latin. 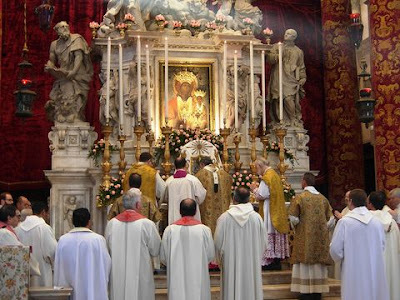 Not only in the so-called “Extraordinary Form of the Latin Rite,” which was usual before the Second Vatican Council, and whose celebration Pope Benedict XVI facilitated in 2007 (Summorum Pontificum, Art. 1), but also in the “Ordinary Form.” That is, Latin has its place in the “post-conciliar” Mass usual today. It was certainly good that the Council opened up the possibility of a limited use of the vernacular in the Liturgy. But it is entirely beside the intention of the Council that today the ancient and noble liturgical language of the Latin Church is almost unknown." The cassock obligatory for cardinals and bishops during office hours. Cassock or clerical dress for priests and monsignors. Specific habit for religious, always and in every season. And for ceremonies in the presence of the pope or during official meetings in the Roman curia: "abito piano," or cassock with cape, for priests, embroidered cassock for monsignors, and cassock with embroidered cape (called a "pellegrina") for bishops and cardinals. by these presents I wish to recall to Your attention the importance of the discipline concerning the daily use of ecclesiastical (cassock or clerical) and religious dress, as determined by the norms on this matter and according to the reasons illustrated and explicated in his day by Blessed John Paul II in the Letter to the Cardinal Vicar of Rome, dated September 8, 1982. 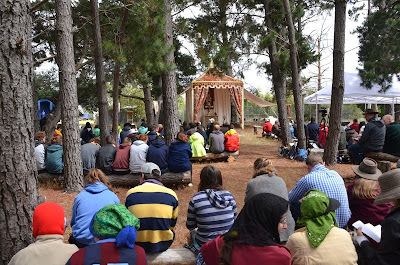 At a time in which everyone is specially called to renew his awareness of and consistency with his own identity, at venerable behest I come to ask Your Eminence/Excellency kindly to guarantee the observance of the above on the part of all ecclesiastics and religious in service with this Dicastery/Tribunal/Office/Vicariate, recalling the duty of wearing regularly and with dignity the proper habit, in every season, partly in obedience to the duty of exemplarity (editor's note: this phrase is in italics in the original) that is incumbent above all upon those who render service to the successor of Peter. The very example of those who, sealed with the episcopal dignity, are faithful to the daily use of the cassock proper to them, during office hours, becomes an explicit encouragement for all, including for the Episcopates and for those who visit the Roman Curia and Vatican City. On this occasion, moreover, partly in order to avoid uncertainty and to guarantee due uniformity, it should be recalled that the use of the abito piano is required for participation at any event at which the Holy Father is present, as also for the Plenary and Ordinary Assemblies, the Interdicasterial Meetings, the reception of "ad limina" Visits and the various official engagements of the Holy See. 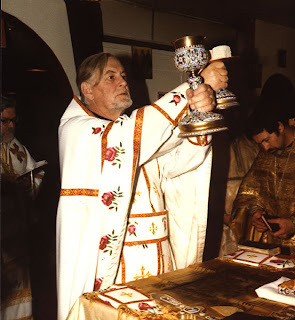 Over on our friend Adam DeVille's Eastern Christian Books site, he has an interview with William Mills which touches on the work of the noted Eastern Christian liturgical theologian, Fr. Alexander Schmemann. The interview is fairly lengthy, so I will suffice to simply point you in that direction. 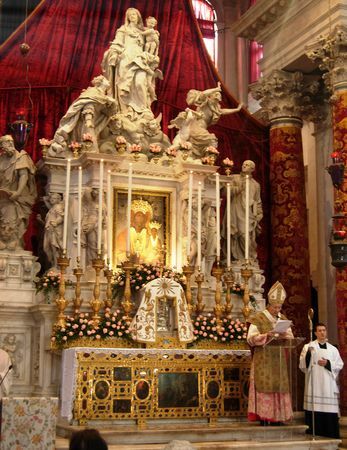 Over the years we have mentioned an Mass which is celebrated in Santa Maria ad Martyres (i.e. the Pantheon) in Rome in relation to the Savoy family there and in association with the "Movimento culturale Rinnovamento nella Tradizione" and the"Associazione Mafalda e Giovanna di Savoia." The Mass was offered, as usual, for the souls of all the departed souls of the House of Savoy. In attendance was Principe Amedeo di Savoia, his wife, Principessa Silvia, and Principessa Maria Gabriella di Savoia. 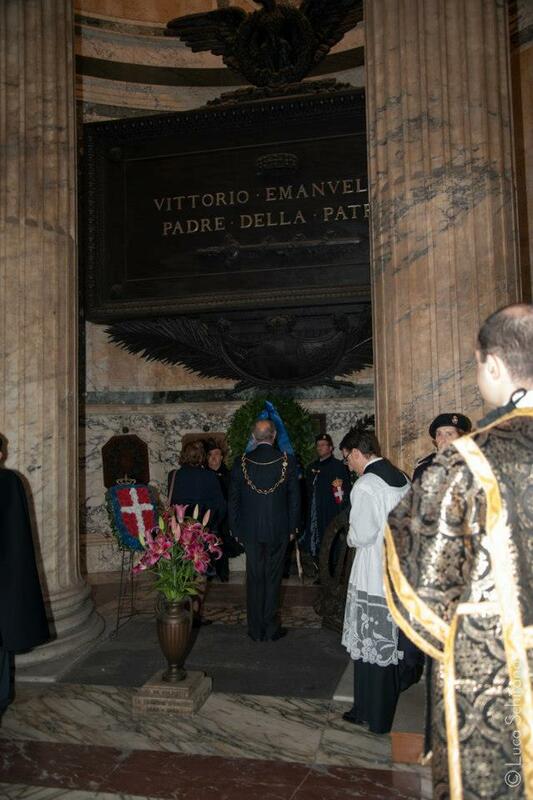 At the end of the Mass, Principe Amedeo, accompanied by relatives and by civil and ecclesiastical authorities, laid a wreath at the tomb of King Vittorio Emanuele II. 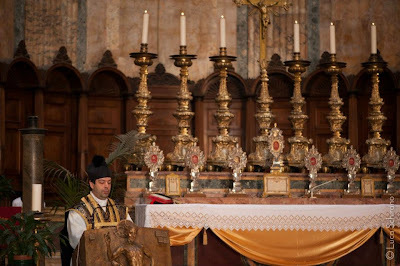 The Mass was celebrated by Don Riccardo Petroni, a priest of the diocese of Rome. Here are some photos which are copyright Luca Schirano, and printed with the permission of Crocereale.it. By way of Philip Gerard Johnson comes the following report about a "Veterans Day Mass" celebrated on November 12th. 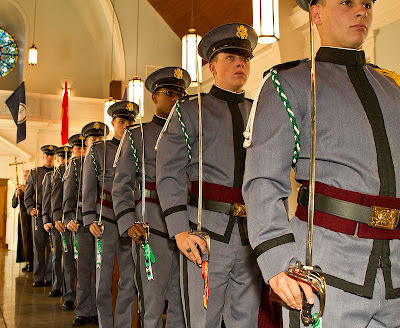 On Monday, November 12, 2012, Benedictine College Preparatory (Richmond, VA) revived their traditional Veterans' Day Mass for the 101st Anniversary of their school. Diocese of Richmond Bishop DiLorenzo granted permission for a special Votive Mass of Thanksgiving. 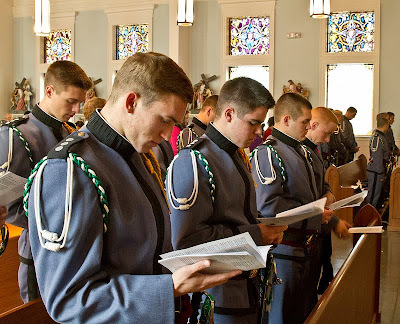 The Solemn High Latin Mass in the Extraordinary Form took place at St. Benedict (Fraternity of Saint Peter) parish in Chesapeake, VA. Chesapeake is in the Tidewater area, so many active and retired military members attended in uniform. Here are some of the photos provided by Philip. The principle of universality is not something I had considered in any depth at all until recently, when it was mentioned in a talk about sacred music. I have been reflecting on its meaning in other aspects of the culture and what it says to me about how I should approach my own painting. Here are some first thoughts. The word ‘catholic’ means universal. The Catholic Faith is offered to and has meaning for every human person regardless of where and when they live; Catholic culture should always, to some degree be universal too, that is, it should appeal to all peoples in the world;. recently I heard universality in the context of sacred music described in the following way: something will have universal appeal if it does not exclude anyone from any other culture from appreciating it. The idea, it seems to me, is an extension of that expressed also by the phrase ‘noble accessibility’ (previously discussed in this column), which says that the music that is meant to be sung by a congregation must be simple enough so that they can; and the music that is more difficult to perform and so realistically can only be sung by a choir, must be easily appreciated by the congregation and not abstruse. At the same time, there must be no compromise on the ‘nobility’ that is the beauty of any piece of music. This principle makes high demands of the composer, but not of the listener. The principle of universality says that music, and by extension all aspects of the culture should portray this noble beauty and be accessible to all people, of all times and all places. To the degree that we are able to think about this it should be there in anything that we do, but most obviously this will always apply in the arts – painting, music, architecture for example. Some have interpreted this principle of universality as meaning that it does not belong to any place or time at all. They are saying that something is universal only to the degree that it is a-cultural, that is culturally neutral and does not characterize any time or place. As I understand it this is not what is being said at all. Every general principle, which is understood as an abstract idea, must be manifested in a particular example. By looking at the particulars, we discern the general. Every work of art, every piece of music is a product of its time and place. A work of art that is universal is therefore both timeless and timebound, it is both homeless and planted in a particular place. We can think of the iconographic tradition in painting to illustrate this. Every painting conveys information through what is painted – content; and how it is painted – style. While the content, for example we might paint Christ on the cross, is proscribed by the tradition, there are other traditions that legitimately portray Christ on the cross, such as the gothic or the baroque. It is the stylistic features of an icon that make it an icon, unite with the tradition and also differentiate it from other forms of sacred art. Each characteristic element participates in the essential principles that describe an icon. These are timeless and homeless. Nevertheless every icon has a time and a home as well. Each bears the stylistic mark of the person who painted it, and as a product of a time and a place, it bears therefore, some indication of those two factors. They may not be deliberately imposed upon it by the artist, but they will come out naturally as he works. Learned students of the iconographic tradition are able to look to a previously unseen icon and just by observation of the style pin down the geographic region in which it was painted and date it to within about 50 years. Even individual painter styles are recognizable. The purest forms of universality, I suggest, are those therefore in which every particular speaks of both a general principle and a particular time and place – and, inversely, there is no element that is time or place bound in its form and is not participating in the timeless as well. The most powerful manifestation of the culture is when the timeless and time- and place-bound aspects all speak to us. Every traditional aspect of Catholic culture speaks us because of its universality. However usually, because it originates in a different time and different place, part of it seems alien until we become very familiar with it. If we wish to speak instantly and powerfully to modern people then we must strive to compose and create new works of art that are consistent with the tradition but speak to people today. This is why we paint icons now and never rely on the canon of past works. So we should be thinking of composing new Gregorian chant tones for Latin and the vernacular. There is a tendency today to assume that popular culture is low culture, but if we truly had inspired composers and artist creating new works that are universal, they would outshine the works of the secular culture and create a noble pop culture. It would appeal to the masses, not just the cognoscenti. Let us hope that today's artists and composers can do this. 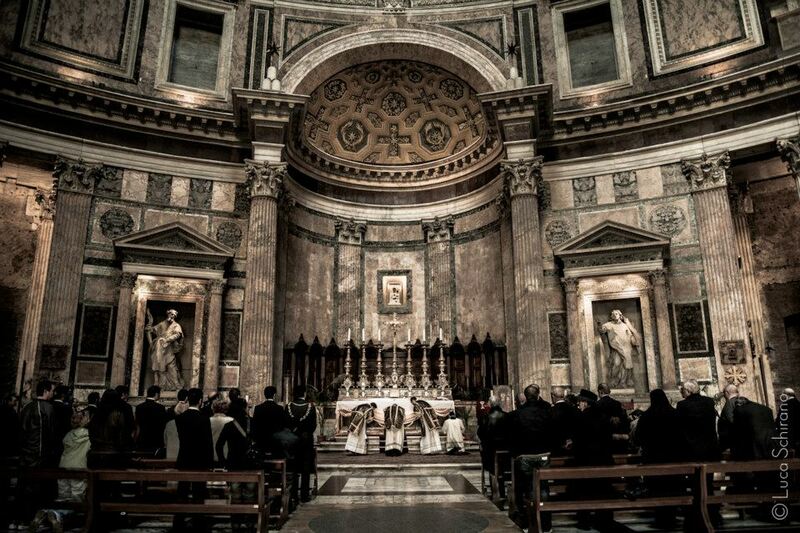 VATICAN CITY, November 14 (CNA/EWTN News) .- With the Vatican's approval on Nov. 14 of its restructuring, the Congregation of Divine Worship and the Discipline of the Sacraments will shift its focus more intensely on art and liturgical music. 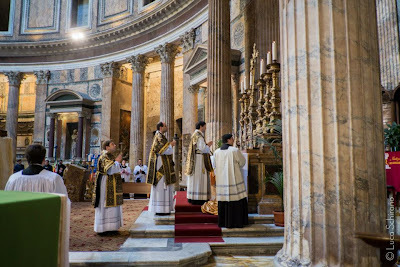 The restructuring is in accord with a Sept. 2011 apostolic letter issued by Pope Benedict XVI, where he noted that the changes will help the congregation in "giving a fresh impetus to promoting the sacred liturgy in the Church." This will be achieved mainly through a new office dedicated to sacred music and liturgical art - including architecture - which will become operational next year. In his letter, the Pope wrote that these all must be in accord with the Second Vatican Council's "Constitution on the Sacred Liturgy." Overlooking that 1963 document has allowed for the post-conciliar trend of building unedifying churches and filling them pop-influenced music. He is a long-time ally of the Pope, back to the pontiff's days as Cardinal Joseph Ratzinger. Cardinal Canizares is sometimes referred as "Little Ratzinger" for his similar beliefs and opinions. Those duties have been shifted to the Roman Rota, the Church's highest appellate tribunal. "The Holy See has always sought to adapt its structures of governance to the pastoral needs that arise in the life of the Church in every period of history, thereby modifying the structure and competence of the Dicasteries of the Roman Curia," wrote the Pope in his Sept. 2011 letter. Baltimore, Md., Nov 15, 2012 / 04:09 am (CNA/EWTN News).- The U.S. Conference of Catholic Bishops has approved a plan to draft an amended edition of the English-language Liturgy of the Hours for use in the United States. The conference’s Committee on Divine Worship, headed by Archbishop Gregory M. Aymond of New Orleans, had recommended the action in light of new liturgical texts, including the Third Edition of the Roman Missal, the revised Grail Psalms and biblical canticles, and revision work begun by the International Committee on English in the Liturgy. The preliminary vote means the Committee on Divine Worship will begin translation and editing. It will present a full draft to the conference when its work is completed. If approved, the draft would be submitted to the Vatican’s Congregation for Divine Worship and the Discipline of the Sacraments for approval. 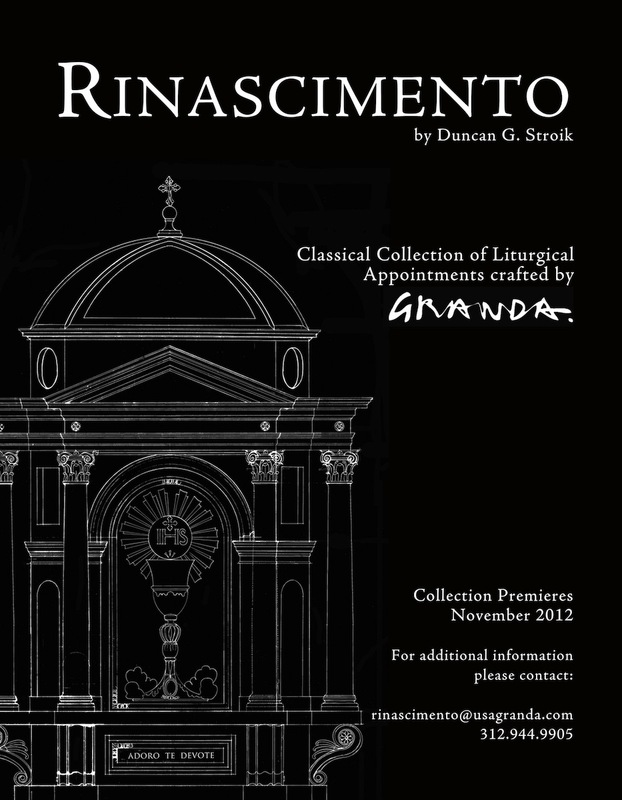 The new edition will include changes in light of the new edition of the Roman Missal. Hymns will use English translations of Latin hymns provided by the International Committee on English in the Liturgy, which will also be consulted on translations of several regularly used prayers. The new edition’s psalms will come from the Revised Grail Psalter, translated by the Benedictines at Conception Abbey in Missouri. Canticles from the Old Testament, the New Testament and the Gospel may use the current translation, an updated translation from the New American Bible, or new translations from Conception Abbey. Biblical readings will be adjusted according to approved texts. The Christus Rex Pilgrimage is an annual pilgrimage where pilgrims walk between two provincial shrines in Victoria, Australia, through the countryside. 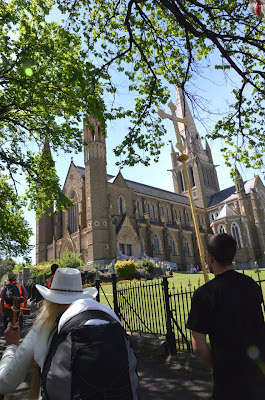 Celebrating it’s 22nd year, it is in honour of the solemn feast of Christ the King starting from St Patrick’s Cathedral, Ballarat on Friday, 26th October, and ending after three days of walking at Sacred Heart Cathedral, Bendigo on the Sunday feast, on the 28th of October 2012. 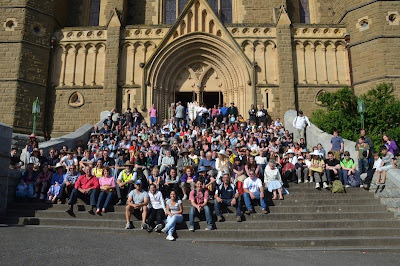 Inspired by the Paris to Chatres Pilgrimage, it draws together over 300 pilgrims from all around Australia and even overseas, to walk, pray, and sing hymns to give glory to Christ the King. The traditional Mass is celebrated daily at local churches, except for Saturday, where an outdoor Mass is held. 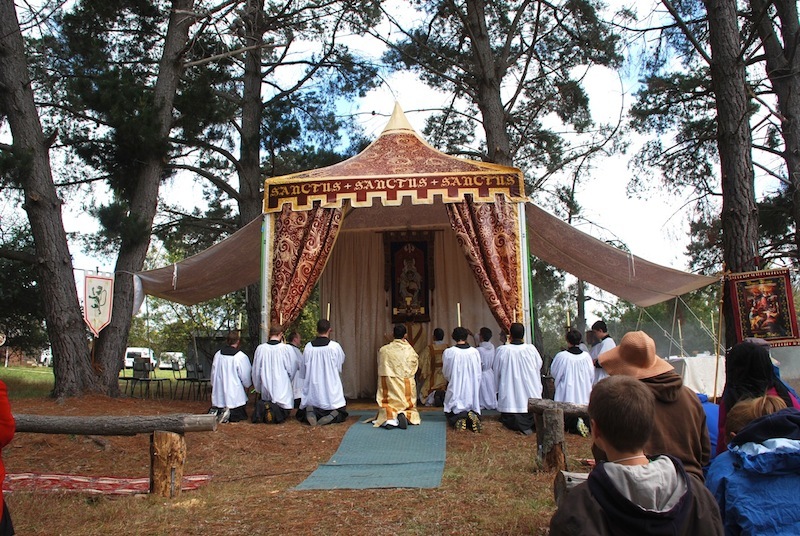 This year saw the commission of the new Eucharistic Tent designed by architect, Sidney Rofe, for the Archdiocese of Sydney. This tent was custom made for the archdiocesian Corpus Christi procession and was kindly loaned by Bishop Julian Porteous, auxillary bishop of Sydney. 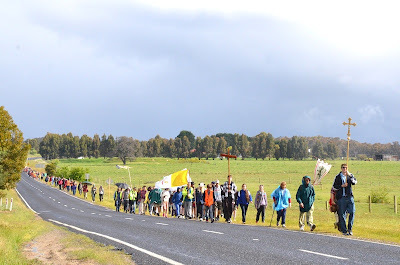 Testimony to it’s enrichment to the lives of Catholics around Australia, 12 priests devoted their weekend for the spiritual benefit of the pilgrims, through the wet, cold and then sweltering heat of Victoria. Pilgrims were also met at the Cathedral by Bishop Les Tomlinson, the bishop of Sandhurst, who also sat in choir during the Solemn Mass.